In this inspiring, mouthwatering story, get to know Chef Joyce Chen who is famous for popularizing Chinese food in the northeastern United States. with a passion to cook? 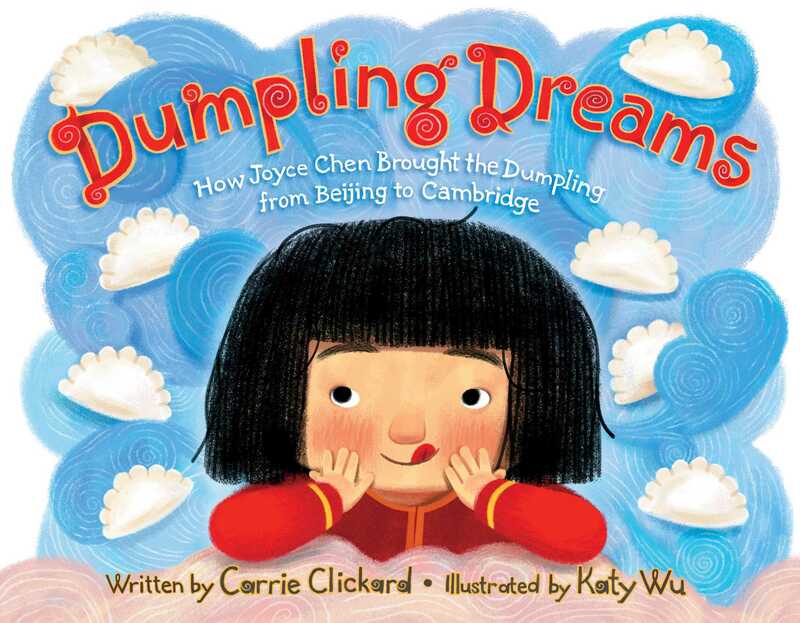 Carrie Clickard’s delectable rhymes tell the story of how Joyce Chen, a girl born in Communist China, immigrated to the United States and popularized Chinese cooking. Illustrator Katy Wu brings this inspiring story beautifully and deliciously to life. Carrie Clickard is the master of rhyming nonfiction. She is the author of Dumpling Dreams, which School Library Journal called “a charming addition.” Kirkus Reviews called it “a fascinating historical character is presented in terms easy for young children to appreciate.” She is also the author of Magic for Sale, which received a starred review from Kirkus Reviews, and Thomas Jefferson and the Mammoth Hunt. She lives in Gainesville, Florida. Learn more at CLClickard.com. Through appealing digitally rendered illustrations and upbeat rhyming text, Clickard celebrates the life of Chen in a way that entertains and informs. . . . Fans of Lynne Barasch’s Hiromi’s Hands, Susanna Reich’s Minette’s Feast: The Delicious Story of Julia Child and Her Cat, and Jacqueline Briggs Martin and June Jo Lee’s Chef Roy Choi and the Street Food Remix will find much to enjoy here. . . . A charming addition. The rhyming text and brightly colored digital illustrations maintain an upbeat, positive tone appropriate for a young audience, even as they allude to serious topics, such as war in China causing Joyce’s family to relocate to the U.S., and the difficulties of adapting to a new culture. A glossary effectively explains many elements pictured but not detailed in the text, while a time line at the end fills in historical context. Includes dumpling recipes for those eager to taste for themselves.